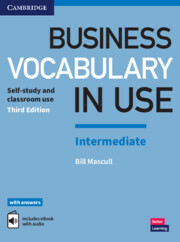 Vocabulary explanations and practice for intermediate (B1 to B2) students and professionals looking to improve their knowledge and use of business English. 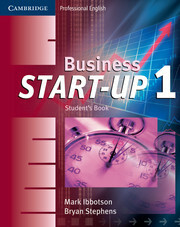 This book is perfect for both self-study and classroom activities. Inside the book is a code for an ebook that can be used online with Macs, PCs and tablets. It can also be downloaded to iOS and Android tablets using the free Cambridge Bookshelf app. The ebook has the same content as the printed book, plus features such as audio so that you can listen to the words as well as reading them.